(b. 1967) – reporter for Gazeta Wyborcza. Works as a tutor at the Polish Reportage School at the Reportage Institute. Romanist by education. She started her work as a journalist in the 1990s as a DJ at Warsaw’s Radio Mozart. In 2012-13, she hosted the Hot Doc programme for Television Planete. Her texts can be found in two collections: Beznadziejna ucieczka przed Basią. Reportaże seksualne [A Hopeless Escape from Basia. Sexual Reportages] (W.A.B., 2007) and Żyletka [Razor Blade] (Agora, 2011). 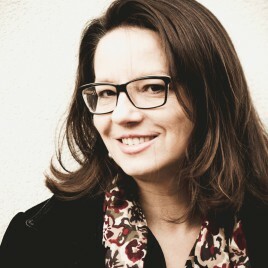 In 2012, her reportage book Mokradełko [Little Marsh] (Czarne) was published, and was a finalist for the 2013 Nike Literary Award. Her newest book is Ku Klux Klan. Tu mieszka miłość [Ku Klux Klan: Love Lives Here] (Czarne, September 2015), about the modern and old American racists and other inhabitants of the Bible Belt.